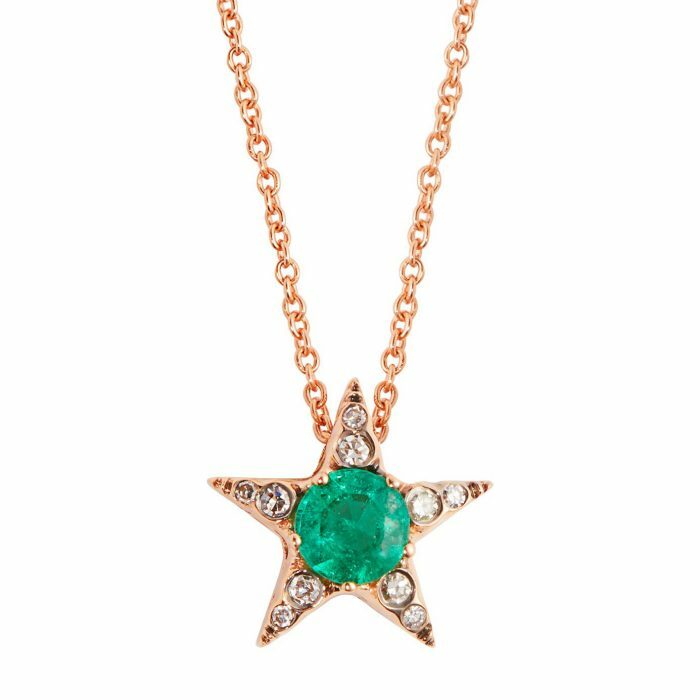 Here, I have put together a list of my favourite online stores selling gorgeous, exquisite and contemporary jewels from all over the world: just a little source of inspiration for your future shopping! 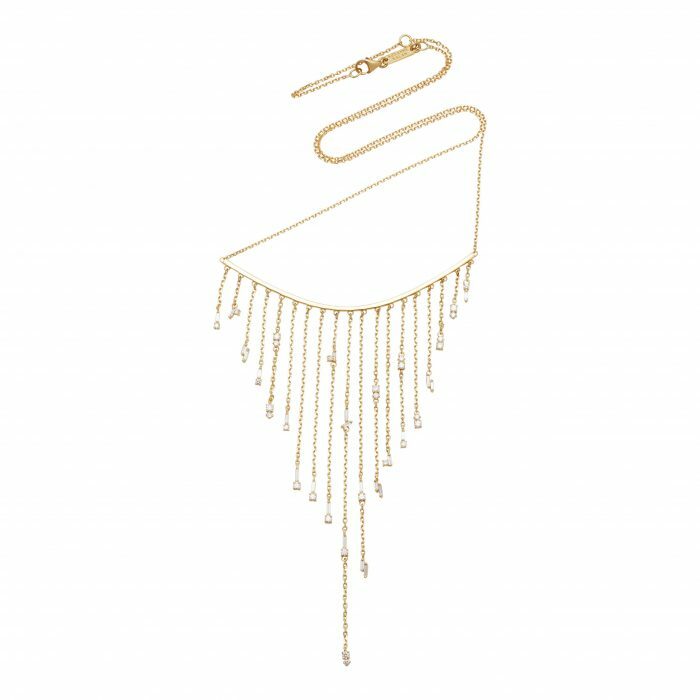 Are you looking for a much-coveted piece of costume jewellery by Lanvin, but it is sold out everywhere in your country?! 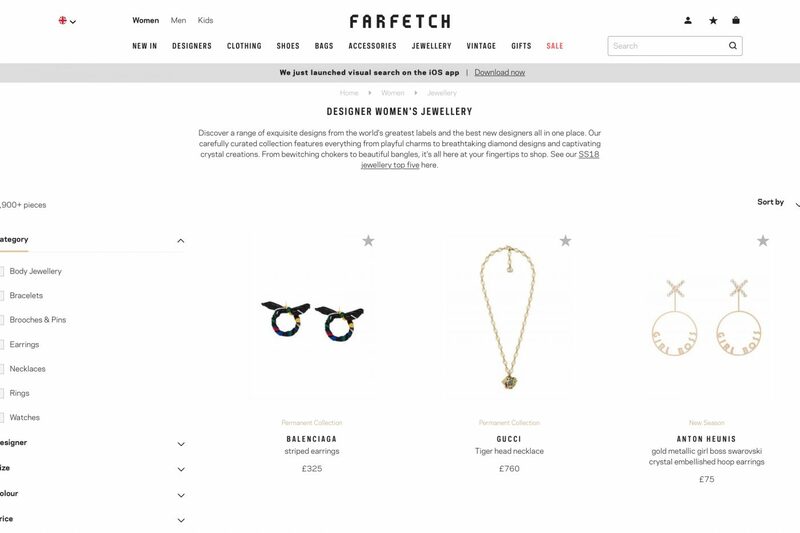 Then Farfetch.com is the online shopping destination for you. 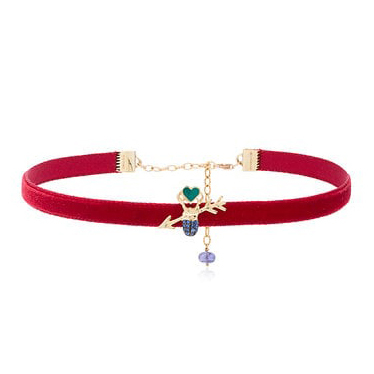 If you are after something that you cannot find in your hometown, then have a browse on Farfetch.com: you can shop at faraway independent boutiques from your comfy sofa without the need or the expense to travel! 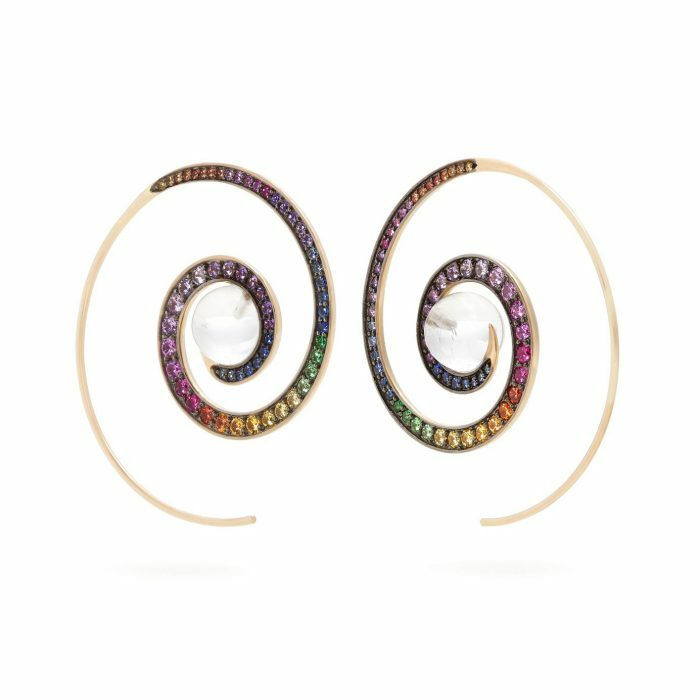 On Farfetch.com you will also find the best individually curated collections consisting of well-known names, as well as emerging designers. 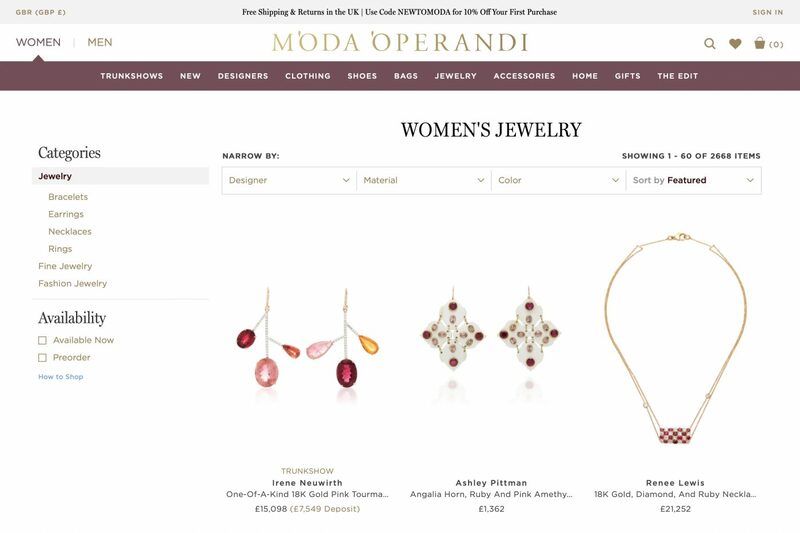 Moda Operandi is the place to shop for jewellery months ahead of anyone else: here, you will be able to get a piece of the new collection straight from the trunk show! 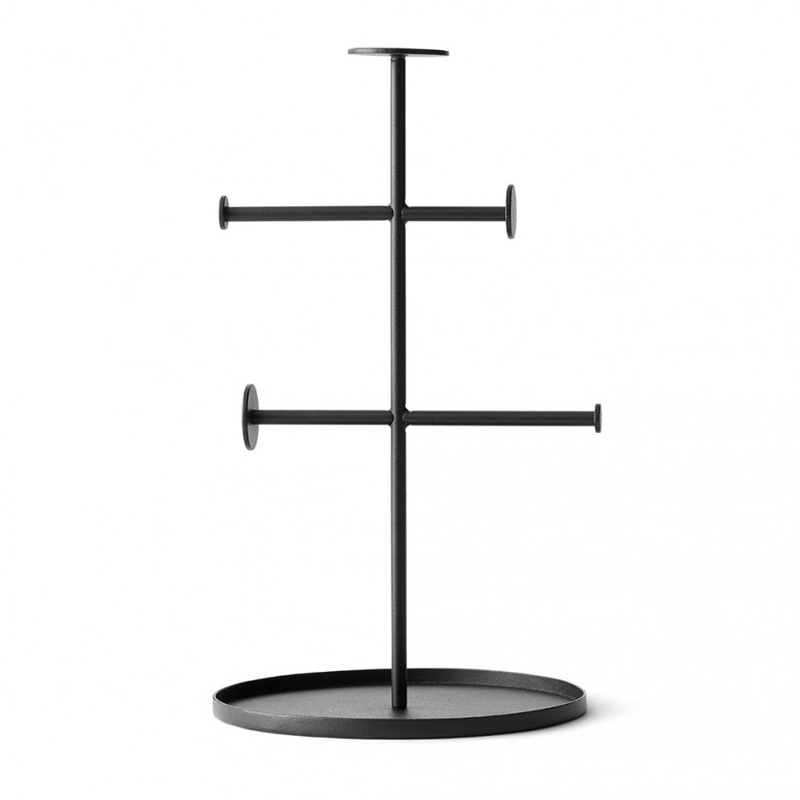 Alternatively, if you looking for a that special piece right now, you can browse through their boutique section. 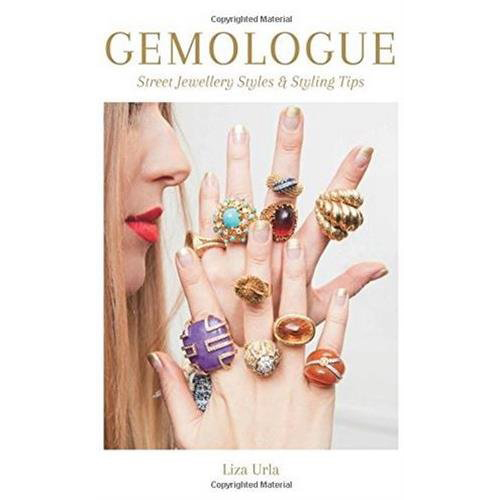 Upcoming designer trunk shows include GEMOLOGUE’s favourite designers Sybarite and Vickisarge. You can read the full article about Liza’s visit to Sybarite at Arts Club and interview with Vicki Sarge at her boutique on Elizabeth Street in London. 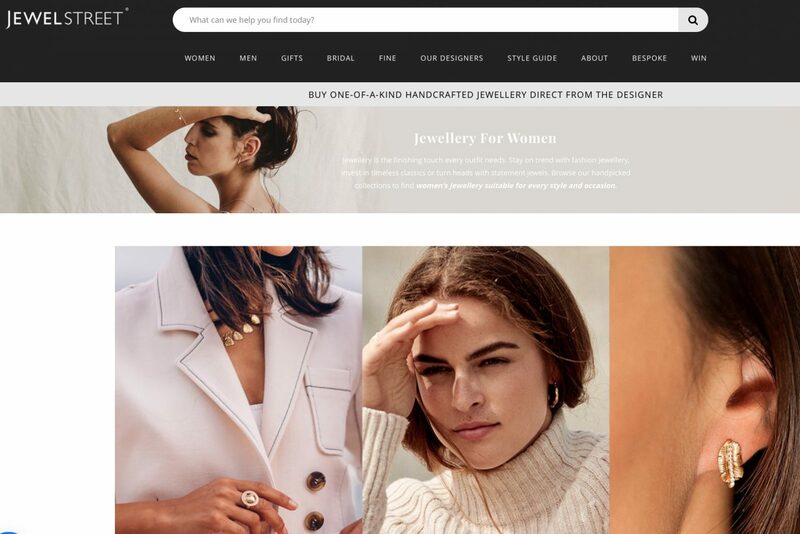 Jewel Street is the newest online shopping destination for jewellery lovers where you can source fine jewellery directly from over 300 luxury designers and independent boutiques from four corners of the world. 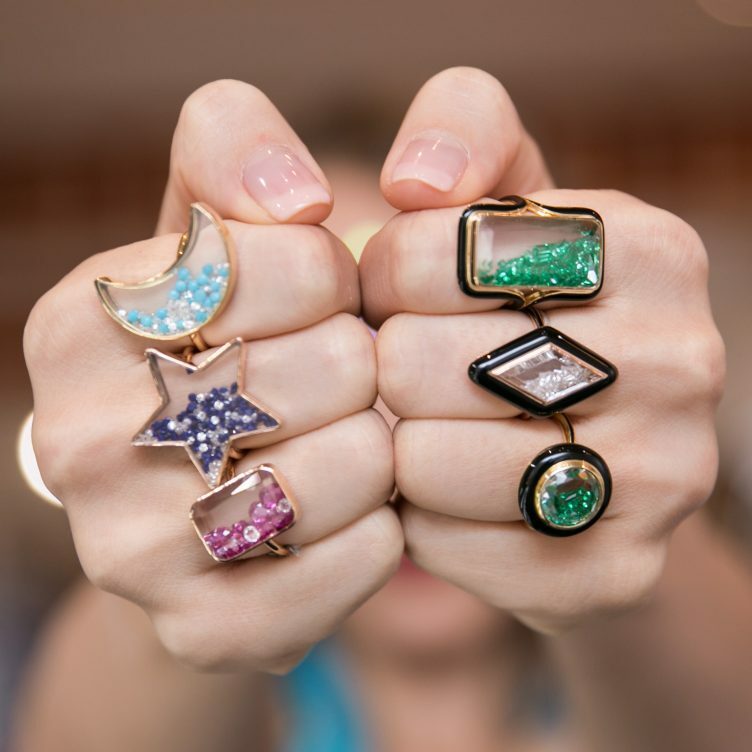 Jewel street gives you the ability to purchase big-ticket or one-of-a-kind items from some of the most talented fine jewellery designers all around the world, some of whom you’ve never heard of. 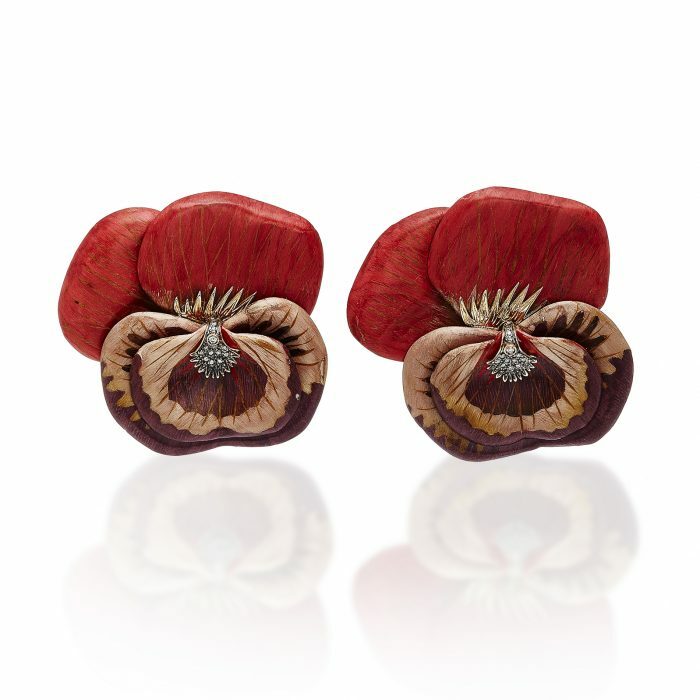 In a nutshell, this is a global fine jewellery boutique at your fingertips! 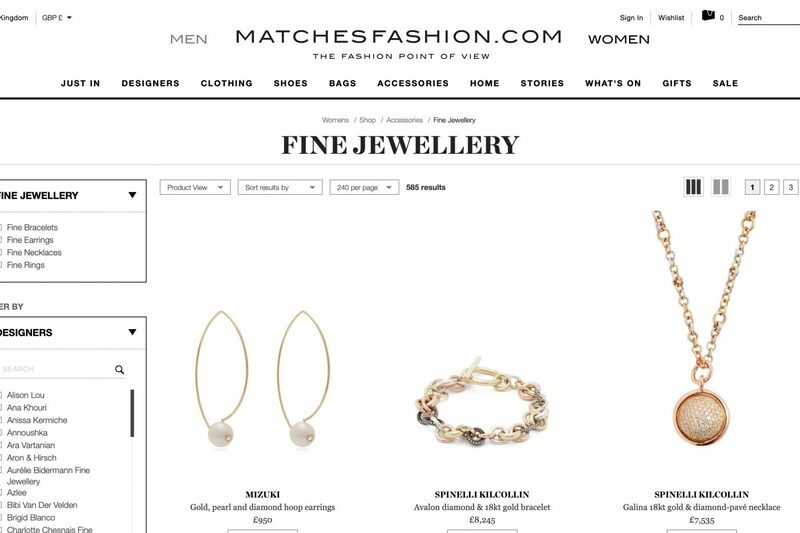 MATCHESFASHION.COM is GEMOLOGUE’S favourite online store for fine designer jewellery. 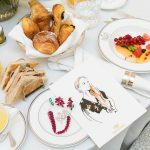 All fashionistas know that MATCHESFASHION.COM is the go-to destination for contemporary luxury fashion, with an excellent curation of hot-off-the-runway looks and currently most-wanted accessories. I also love the site’s clean layout and their impeccable customer service! 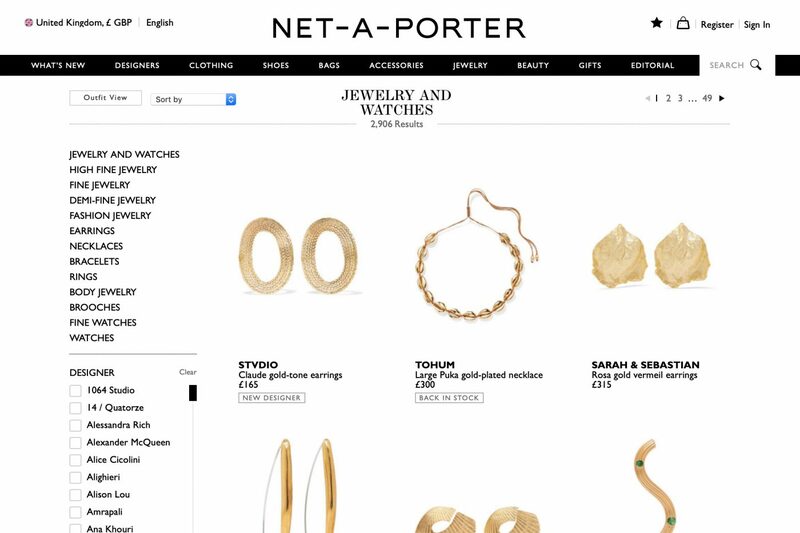 Net-A-Porter.com is my jewellery paradise as it offers even high jewellery, meaning one off pieces with exceptional craftsmanship and the best stones the world has to offer. We are talking £50,000-£100,000 in one click! 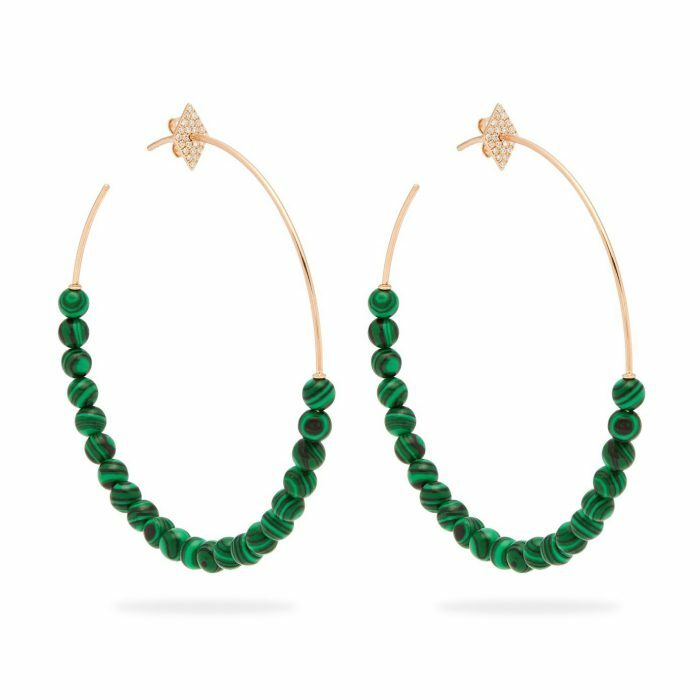 The wide selection of their contemporary jewellery designs and carefully curated jewellery designers makes the jewellery discovery and browsing a pleasure from the comfort of your phone. Much beloved by many London fashionistas, Wolf & Badger has several beautiful stores in the city, including Notting Hill and Mayfair. 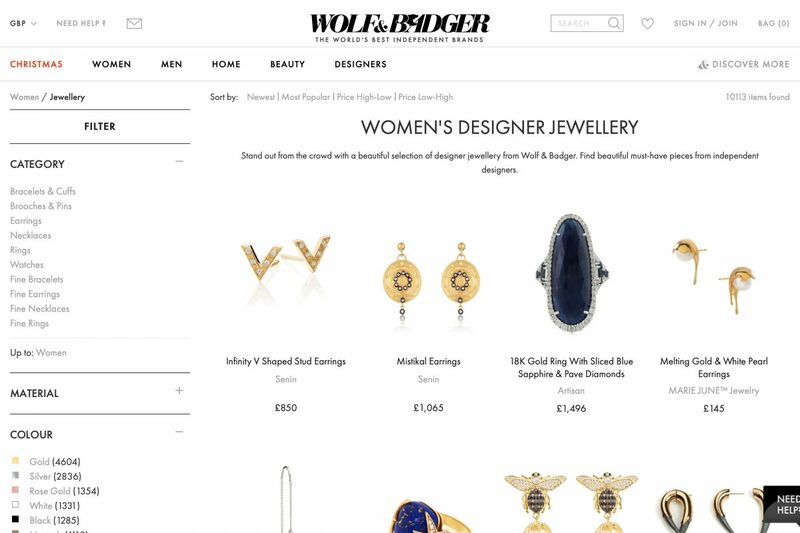 Wolf & Badger stocks an array of eclectic and quirky jewellery, so this online store is worth looking at if you are after something different and affordable; here, you will not find your standard commercial selection of pieces, but something infinitely more interesting. 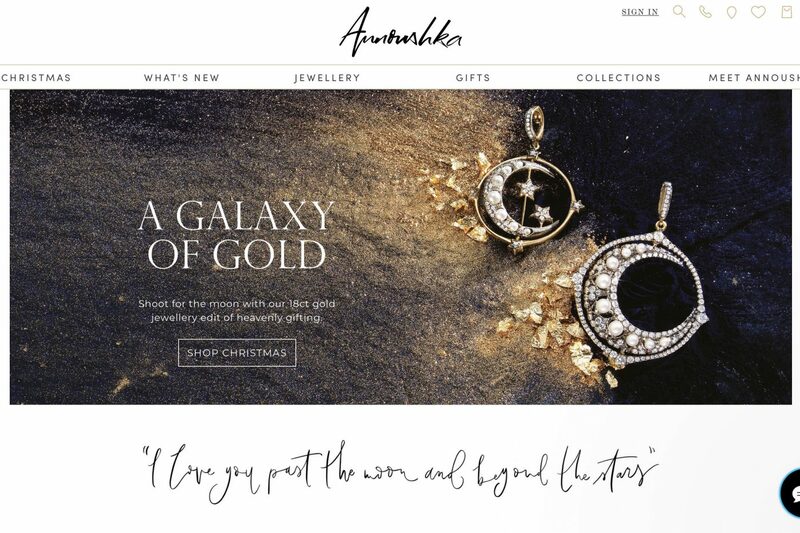 Annoushka is a classic, quintessentially British place to shop for fine and contemporary jewellery. 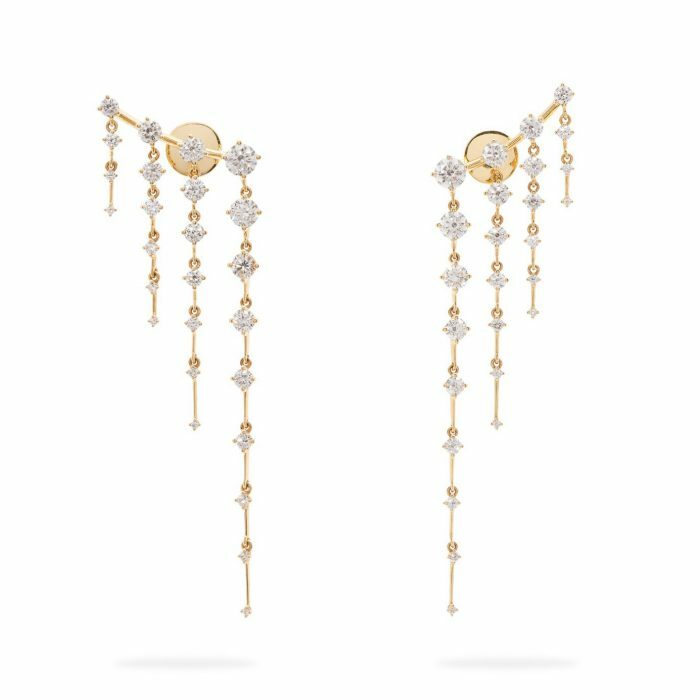 Annoushka designers herself, as well as carrying an interesting curation of handpicked fine jewellery designers who otherwise tend to be available only offline like Ilgiz Fazulzyanov in Moscow and Lydia Courteille in Paris. You can read GEMOLOGUE feature about Ilgiz Fazulzyanov and Lydia Courteille. I think that Annoushka is the perfect place for a man find a beautiful and affordable gift for his wife, mother or sister. Many pieces can be personalised making them more special, and all jewellery comes in gorgeous packaging making such a gift even more special. 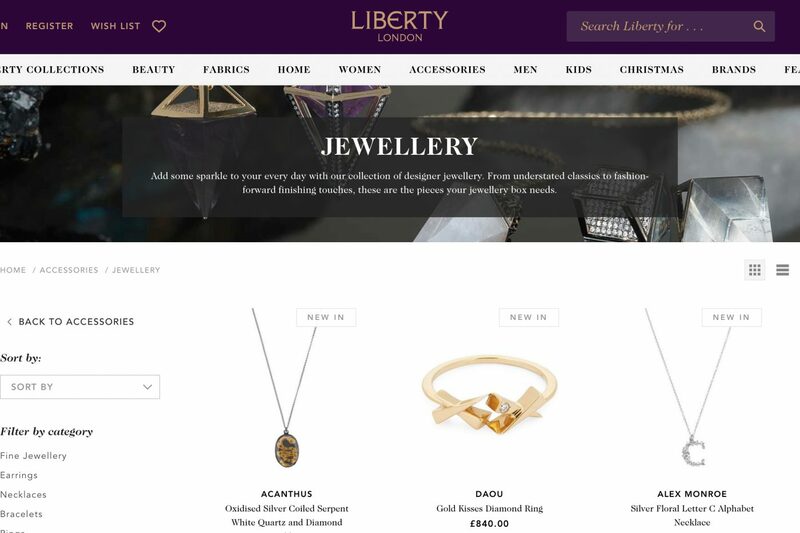 Liberty London is my favourite London’s department store – and one of England’s oldest – and their online store is the continuation of their vibrant mix of designer, fine and vintage jewellery. Have a browse online at what they have to offer, and then make your way to Soho’s most beautiful store. 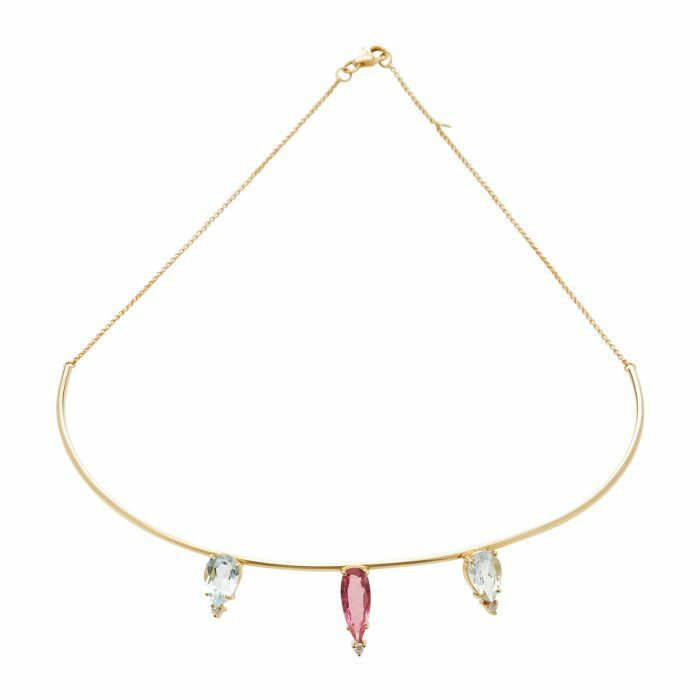 Liberty stocks our one of our all-time favourite queen of vintage, Annina Vogel, and the widely popular costume jewellery brand Dannijo! The heart and soul of Etsy is our global community: the creative entrepreneurs who use Etsy to sell what they make. 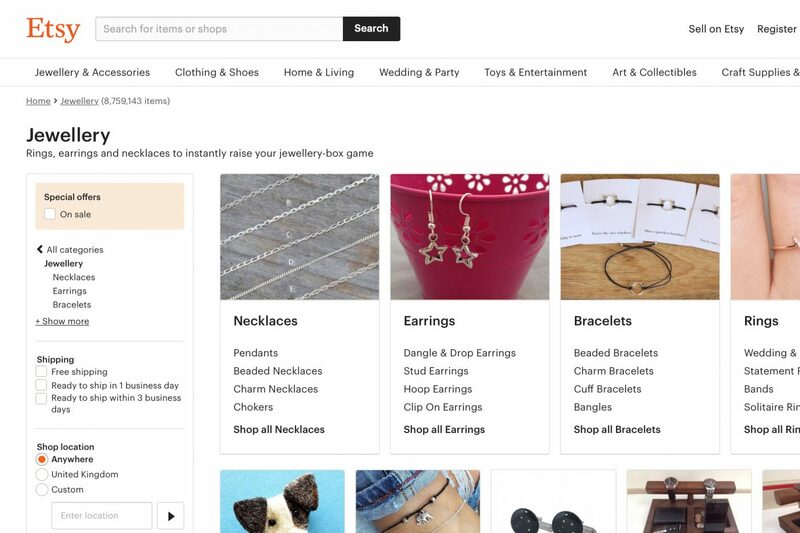 If you are after something special Easy is the online market for you. 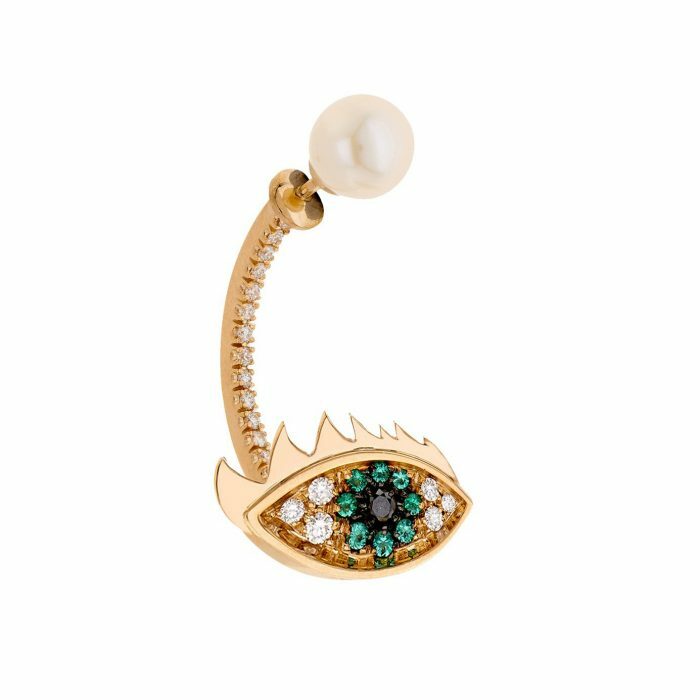 Where do usually shop for jewellery? Leave me a message in the comments below!